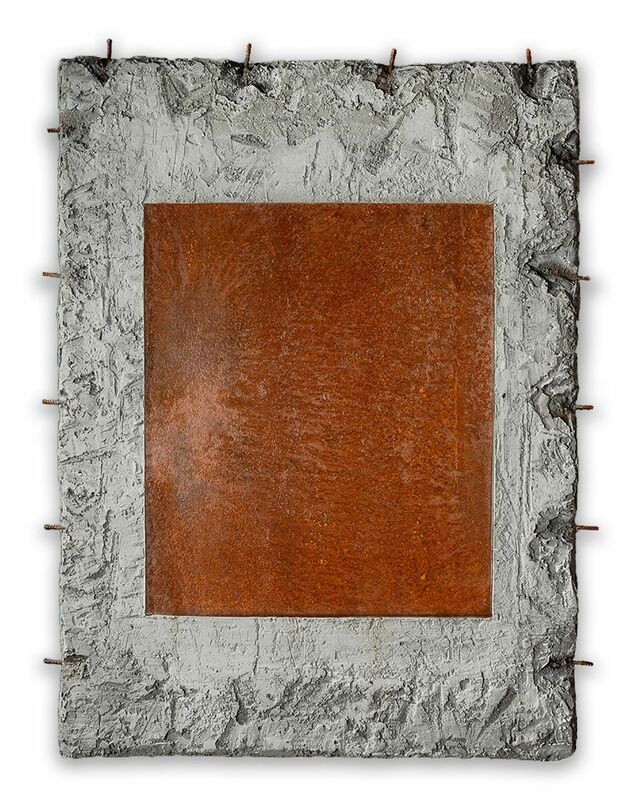 TECHNIQUE: CEMENT AND CORRODED STEEL ON FOAM PANELS. Auville works with construction cement. Applying techniques used in the construction and ship building industries, he spreads the cement over high-density foam panels, creating pieces ranging in size from one to eight square meters. Rust is a mixture of steel and oxygene. It brings some life to a dull clean metal. The rust of Still Steel is the result of time and sea-water washing which has been then stopped with clear water and varnish. Concrete around rusty steel is more than a frame, they work together. Pierre Auville is a French artist whose work investigates and incorporates the aesthetic and conceptual qualities of manufactured materials such as cement, concrete and steel. He was born in Le Havre, on the Normandy coast, and lives and works near Paris. Auville studied political science and history of arts. His art education grew from a natural interest he had in painting surfboards and sailboats, and in making street art. He eventually began taking evening classes in fine art, and was given an opportunity to work in the studio of French painter Anne Papalia, whom he studied with for ten years. Auville works with construction cement, the Portland type, the main components of which are lime and clay. Applying techniques used in the construction and ship building industries, he spreads the cement over high-density foam panels, creating pieces ranging in size from one to eight square meters. The muted tones of the work are provided by the Portland cement itself; Auville does not use any kind of chemical resins to preserve its mineral quality. The result is a variety of off-whites, beiges, greens and grays, depending on the location and season of the cement's production and the addition of mineral pigments such as slate or coal powder. The bright colors Auville sometimes incorporates into his works are generally achieved with water-based spray paint applied during the drying process or eroded spray painting. The works are also sometimes eroded, corroded, carved or polished by mechanical abrasion (such as sand paper, steel wires wool or scrapers) and intense washing. A thin layer of diluted varnish is then applied once the finished work is fully dry, for protection only. Auville explored many different fields before turning full time to art. He worked as a journalist, served in the French Navy, worked in emergency medical services and held various management positions in industrial companies. He worked around a lot of different kinds of manufactured materials and surfaces, which inspired him. As his artwork evolved he experimented with different mediums, exploring various kinds of alternative media until he discovered the rawness and versatility of cement. Cement allows Auville to search for the point where the colors of human-made materials go back to their original mineral essence. He references the various color qualities of minerals in stone, ranging from Lascaux cave in France, which he visited as a kid, to cement roads in hot areas such as California, to the abandoned WW2 "blockhaus" that line the Atlantic coastline of Western Europe. 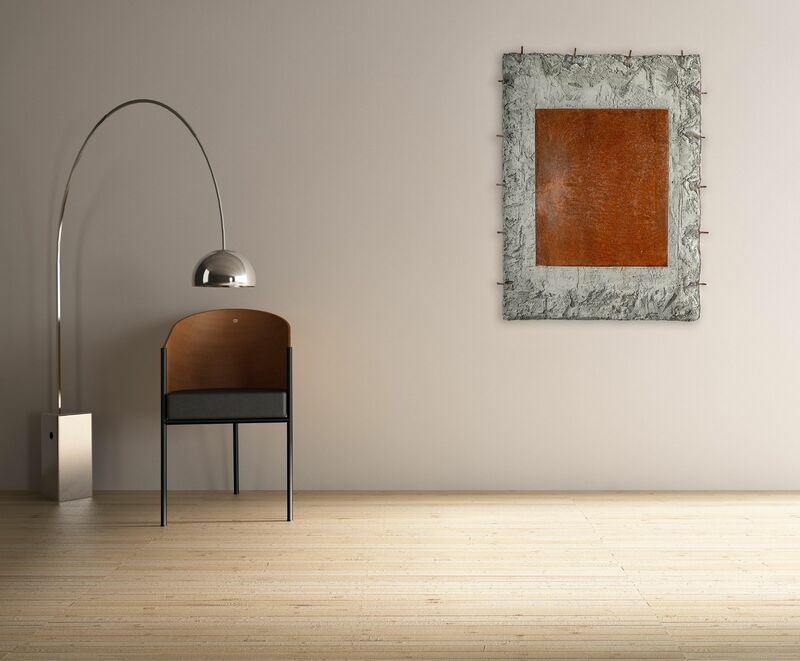 Pictorially, Auville's aesthetic vocabulary is influenced by modern art movements such as Geometrical Abstraction, Arte Povera and Street Art.